The Grady College of Journalism and Mass Communications at the University of Georgia is one of the top-ranked journalism schools in the nation. 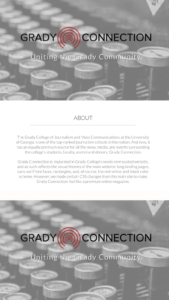 And now, it has an equally premium source for all the news, media, and events surrounding the college’s students, faculty, alumni and donors: Grady Connection. Grady Connection is implanted in Grady College’s newly rennovated website, and as such reflects the visual themes of the main website: long landing pages, sans-serif font faces, rectangles, and, of course, the red-white-and-black color scheme. 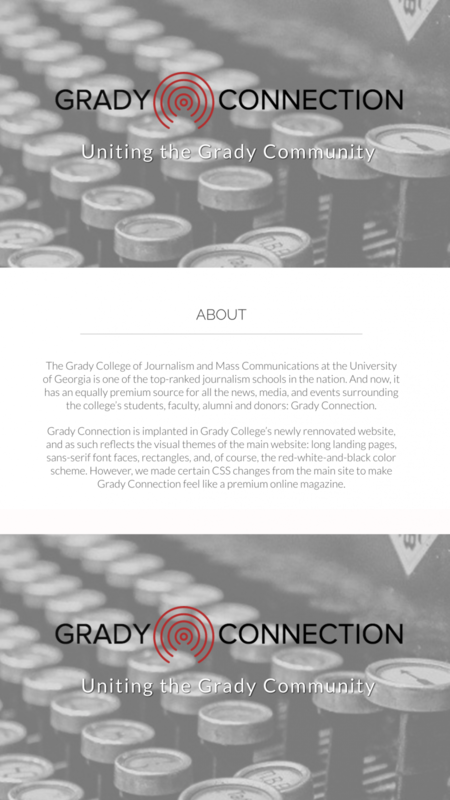 However, we made certain CSS changes from the main site to make Grady Connection feel like a premium online magazine.